At What Age Do I Need Dental Implants? When you think about artificial teeth, most people automatically think of elderly people. However, false teeth are not only targeted toward seniors. People of all ages have a need for tooth restorations, and dentures are not always the solution. 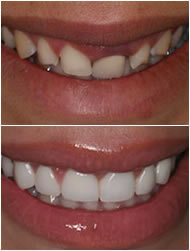 Dental implants have become a very popular choice for those in need of new teeth. They may be used to replace individual or multiple teeth, and can be considered at various ages. There are a number of reasons that people lose teeth. It can result from trauma to the mouth from an accident or sports injury. Tooth loss also may occur from damage caused by chronic bad habits like smoking or drug use. Another reason for tooth loss is decay that wasn’t treated in time. Decay is a common problem in all ages due to consumption of sodas, sugar, and artificial sweeteners. Eating items like these and not performing good oral hygiene is a recipe for tooth decay. 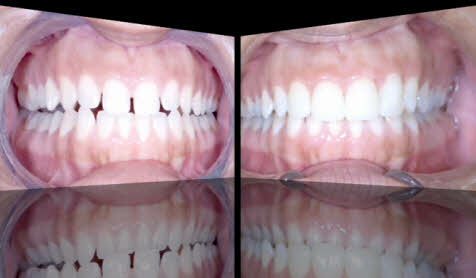 Implants are a more permanent restoration than dentures. 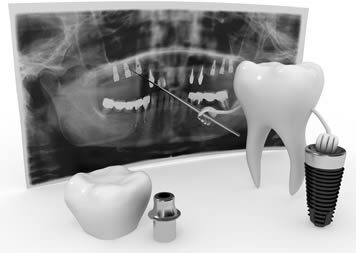 Instead of being taken in and out of the mouth, implants are attached directly to the jaw bone. A younger patient might require a number of pairs of dentures in their lifetime, while a dental implant is usually a one-time procedure. Even if the crown on top of an implant requires replacement, that may be done without altering the implant itself. Since the implant is inserted into the jawbone, the jaw must be finished growing so that the implant doesn’t affect jaw formation. Therefore it is recommended that dental implants not be performed on boys under age 17 or girls under age 15, since most girls mature physically sooner than boys. Another consideration for implants is bone density. As people age, bone density decreases and can limit the success of an implant attaching properly to the jawbone. Dentists can determine good candidates for implants based on their age, growth, and bone density.